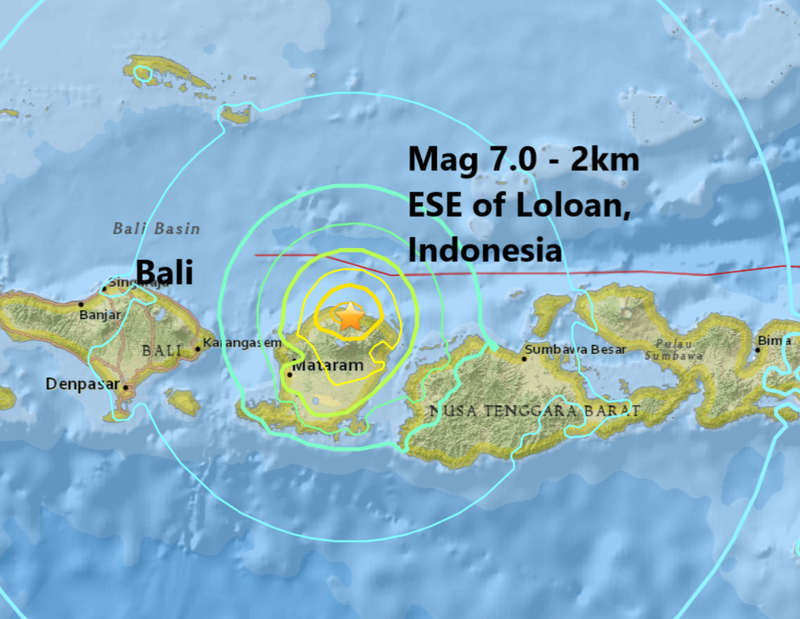 A magnitude 7.0 earthquake has struck the Lombok region, Indonesia close to the tourist attraction of Bali. Authorities in Indonesia issued a tsunami alert on Sunday after a massive earthquake rocked the popular tourist mecca of Bali. The United States Geological Survey said the magnitude 7.0 quake was reported around 11:46 a.m. local time off the country's Lombok Island, located next to Bali. The quake was about 6.5 miles deep, according to the USGS. The quake comes just a week after magnitude 6.4 struck the same area killing 12 people and injuring many more. Today's major quake is the first this August and the 54th of 2018 it is also the biggest quake to strike since a magnitude 7.5, rocked Papua New Guinea back in February.